PEMBROKE PINES, FL – May 15, 2018 – More than 90 students will cross the stage to accept their degrees in front of their proud family, friends, faculty, and campus staff during spring commencement at Keiser University’s Pembroke Pines campus. The ceremony is set for 7 p.m. Friday, May 18, 2018 at the Charles F. Dodge City Center in Pembroke Pines. “This past year, KU-Pembroke Pines celebrated 100 years of the Occupational Therapy and Dietetics and Nutrition Associations. It is an honor and a privilege to be able to educate, train and graduate students in such timeless professions,” Campus President Piotr Lechowski said. The two top students for this graduating class are Carly Fazio, valedictorian, who has already passed the RDN exam and been accepted in Graduate School, and Yolanda Johnson, salutatorian, who has participated in many of the campus Leadership Distinction projects. Both students earned Bachelor of Science degrees in Dietetics and Nutrition. This year’s commencement speaker is the Honorable Pembroke Pines Mayor, Frank C. Ortis. Mayor Ortis, a Pembroke Pines resident since 1977, has been the recipient of many awards, honors and recognitions for his work as a civic leader. He presented the 2012 Public Leadership in the Arts Award and was named the Cities of Excellence “Mayor of the Year” by the Florida League of Cities. Keiser University Pembroke Pines College of Advanced Technology welcomed 2018 with two new Master’s degrees: Information Security and Information Technology Leadership. “Offering these two new programs, while enhancing the existing ones through academic quality and community partnerships, will better service our students and yield Pembroke Pines Campus as a vital element of South Florida community,” Lechowski said. Keiser University, co-founded by Dr. Arthur Keiser, Chancellor in 1977, is a private, not-for-profit University serving nearly 20,000 students offering 100 degrees at the doctoral through the associate level on 18 Florida campuses, online and internationally, employing 3,800 staff and faculty. Keiser University is accredited by the Southern Association of Colleges and Schools Commission on Colleges to award certificates and degrees at the associate, baccalaureate, masters, specialist, and doctoral levels. Contact the Commission on Colleges at 1866 Southern Lane, Decatur, Georgia 30033-4097 or call 404-679-4500 for questions about the accreditation of Keiser University. 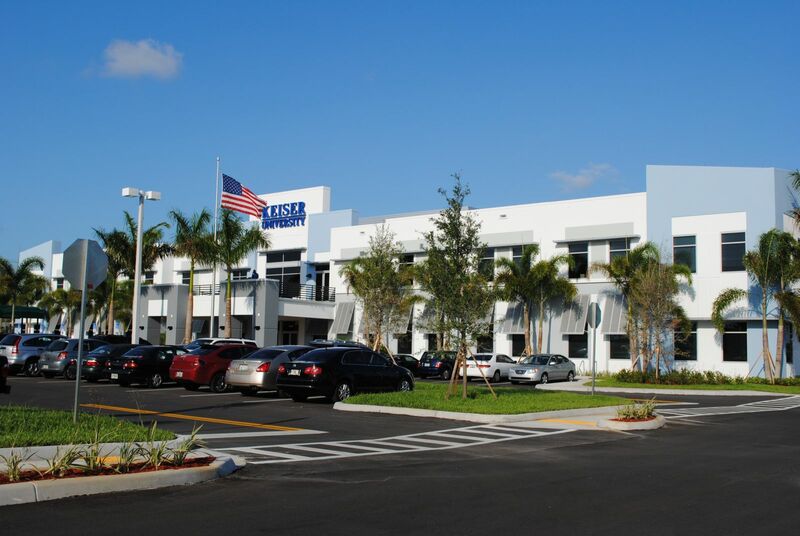 For additional information regarding Keiser University, visit www.keiseruniversity.edu.